Blake finally arrived 6 days overdue. I had contractions for 24 hours before going to the birthing unit for assessment where I was told I was 3cm, waters were bulging and so I was to stay. 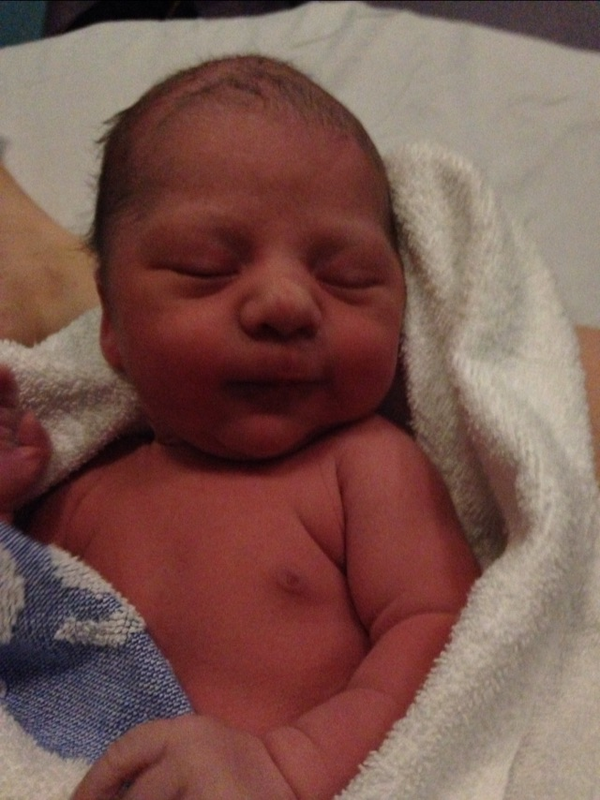 An hour later my waters broke, I was 9cm and half hour after that he was born in water at 00:46 weighing 8lb 6oz.